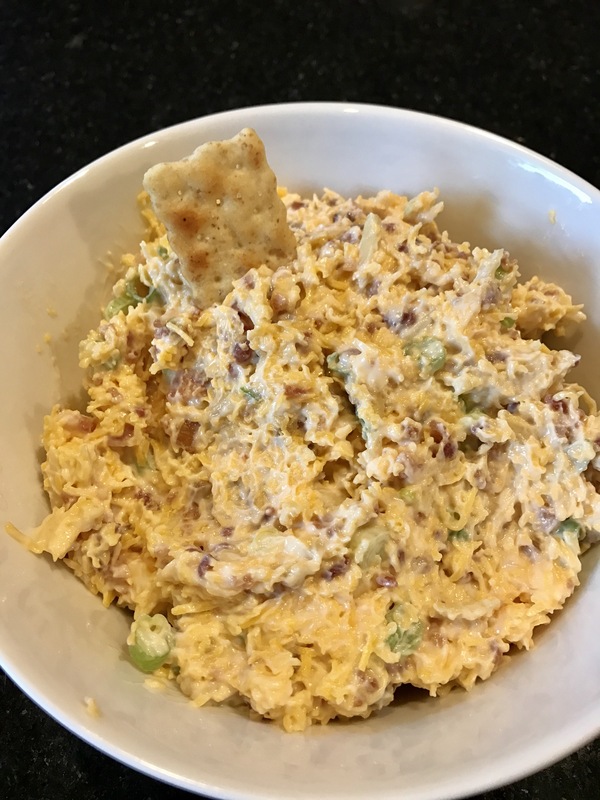 I’m not sure why this is called Nieman Marcus Dip, I found the recipe online and just went with it. Perhaps they sell this there? My mom calls Nieman Marcus “Needless Markup” because everything is so expensive. LOL! So hilarious. This dip, however, is delicious and not expensive at all. I made it for Easter and it was a hit! So easy to make, just 5 ingredients, 6 with crackers. I had a great Easter with my family at my parents house. I actually like Easter better than Christmas 🙂 The weather is nicer, and you still get delicious baked goods and candy. And going on an egg hunt is the best. So I hope you all had a great Easter weekend, too! Shred the cheese and put in a large bowl. Thinly slice the onions and place in the bowl with the cheese. Combine all the other ingredients in the bowl and stir until everything is combined. Pour into a nice serving bowl with crackers on the side and enjoy!